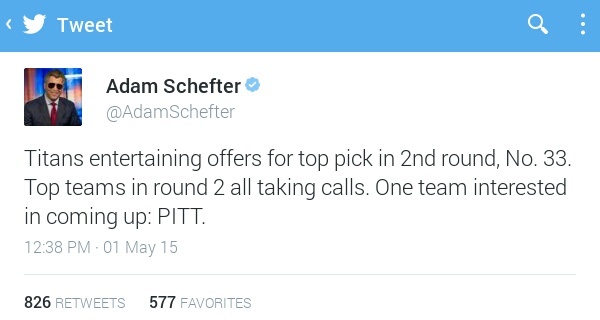 Possible 2nd Trade Between Titans and Steelers? | "IT'S A STEELERS WORLD"! Possible 2nd Trade Between Titans and Steelers? The Steelers might be ready to make a move at the top of the second day on Friday by dealing with the Tennessee Titans in a trade. Several outlets, including Adam Schefter have reported that the Titans are reaching out to teams for a trade..one being the Steelers.